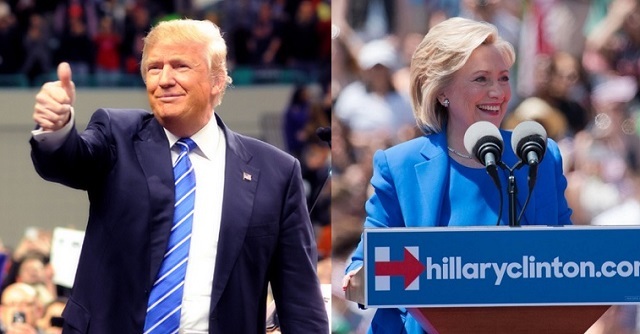 Donald Trump has taken the lead over Hillary Clinton in Florida, according to a Bloomberg Politics poll released on Wednesday, October 26, 2016. Trump leads Clinton 45% to 43% among likely Florida voters. Trump's comeback in the critical background state during the final weeks of the election suggests that independent voters and voters who had remained on the fence are now breaking for the Republican nominee. Trump leads among independent voters 44% to 37%, the poll found. A Real Clear Politics average of polls also reflects a tightening of the race during the final weeks of October where Clinton's lead over Trump in the Sunshine State has dwindled from a high of a 4% down to a 1.6%, making the race a statistical tie. The Bloomberg poll was conducted October 21-24, 2016 and has a margin of error of +/- 3.2%.